Last Alarm. Cary Sloan. Fireman. Mentor. Friend. A life and career cut far too short, from a man that had so much to give. Cary Sloan passed away this morning after a long and bravely fought battle. 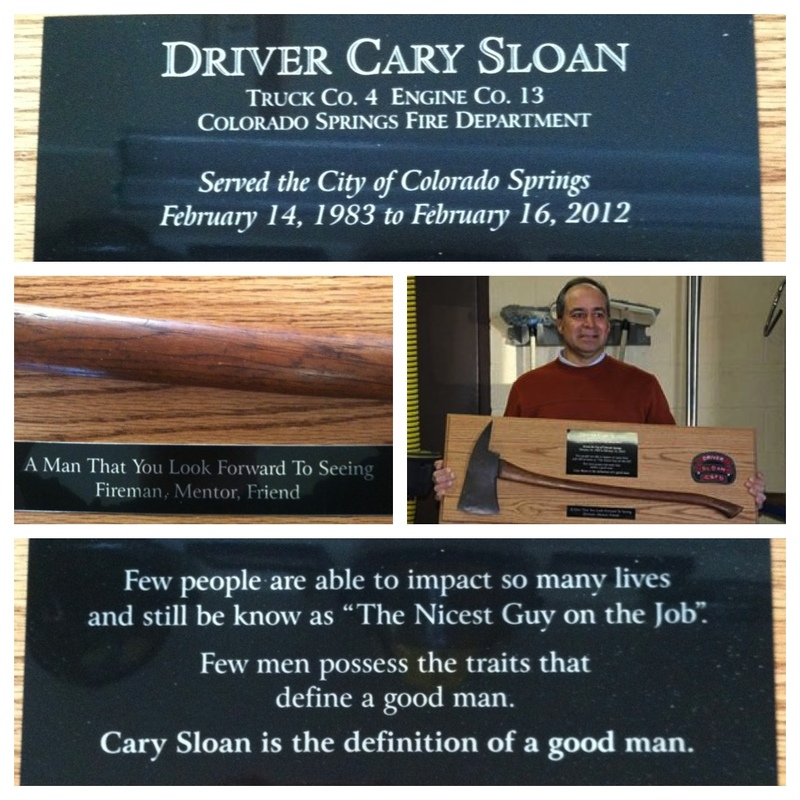 There isn’t a person on our job that wouldn’t say they were honored to know Cary Sloan. Cary was a man of the highest caliber. Cary is a man that falls into a very small category of firefighters, one who was extremely talented in his profession and was a true tradesman at this job, but at the same time had the character and integrity of a man that you could only hope to model yourself after. It did not falter, Cary was consistently the “nicest person on the job”. Cary Sloan was a working man that quietly created a reputation as a senior fireman that both young and old alike looked up to. He was not loud and outspoken about his skill or knowledge but still mentored those around him. Cary was the first person that ever laid a Halligan bar in my hand and actually knew the proper way to use it, I will never forget that moment and I recognized that this was someone I should pay attention too. Cary had to leave the CSFD prematurely and it rocked our membership to the core. His effect was larger than we could have ever imagined and I watched as the largest numbers of support for one of our brothers shined through during Carys remaining time on this earth. I was asked to make his retirement plaque which I took great pride in. The pictures below give you a close up look of some of the powerful words that Cary’s peers felt best described him in short sentences. The axe is a used axe without a chrome head like most plaques, this is because Cary was a blue collar senior man that got his hands dirty until his very last day. Take a look at the picture so you can get a glimpse into what Cary really meant to all of us. We have it from here Cary, please know brother that you created a legacy of young firemen on this job that want to try and be a 1/4 of what you were. We will see you on the other side. This entry was posted on 10/19/2013 at 1:19 pm and is filed under Uncategorized. You can subscribe via RSS 2.0 feed to this post's comments. You can comment below, or link to this permanent URL from your own site. I don’t think anyone could say it any better. Thanks for putting into words what everyone felt about Sloaner. Cary will be missed, thought of and remembered for the great guy he was.